I’ve always had an interest from a young age in computers and videogames and I’m old enough to have grown up during a period when both were new and exciting. 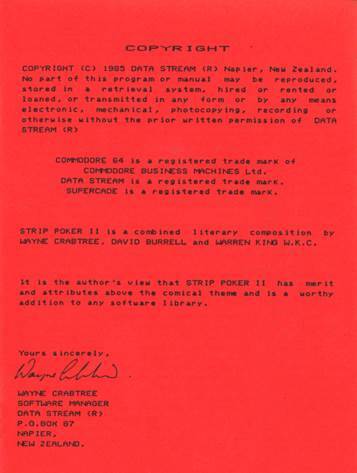 There was a period where there was a flood of different and new home computers (and associated software) entering the market and often they were sold in very limited numbers for a short time period. Collecting them now has been a way of going back and finally owning or using lots of the different systems or games I’d glimpsed in magazines, on TV or were in shop windows. The first gaming things I collected were actually arcade/pinball machines and then later on I started picking up the handheld/tabletop electronic games (Nintendo Game & Watch, Grandstand AstroWars etc.) that were the coolest toys around when I was at primary school. I then moved on to picking up consoles, computers and whatever else I could find. It’s probably easier to tell you want I don’t collect than what I do but the list of what I collect in the computer/games field is roughly as follows: All gaming consoles and software, handheld/tabletop electronic games, home computers (sold in NZ), Arcade and Pinball machines. I don’t collect “big iron” or business computers/servers. 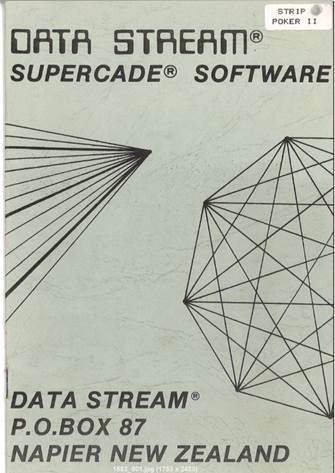 There are two distinct streams really – older systems I collect for the historical interest and preservation factor, new console gaming where I collect the games (and play them) a generation or two back from the current gen as it’s the time when they are the most available for the cheapest prices. I find the thrill of the hunt very appealing, much of my collecting is done early on a weekend morning “in the wild” scouring garage sales, car boot sales and flea markets. I also really enjoy setting up, testing and using a new system. Working through its library of software, looking at what is does well, what it doesn’t do well. Showing other people the systems (particularly running) is also good and I’ve been lucky enough to have had the opportunity to have parts of my collection on display to the public/larger groups on a couple of occasions. 1. 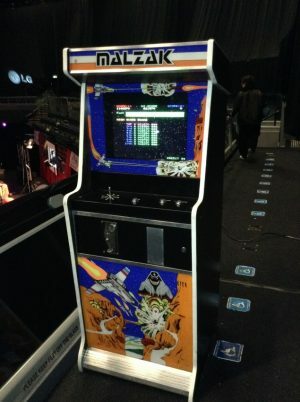 “Malzak” Arcade Cabinet (Kitset Electronic/Kitronix) – 1982. 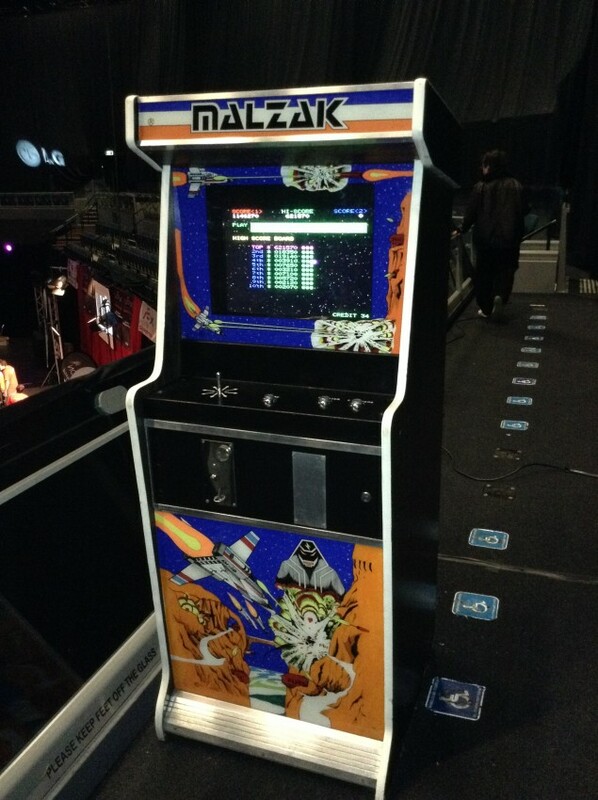 Malzak is one of the few arcade games that was made from the ground up right here in New Zealand. The majority of arcade games operated here relied on imported electronic game boards but Malzak was programmed and built here in Auckland. It doesn’t have the flashiest graphics but it has solid gameplay and the cabinet artwork outshines many of the other generic wood grain cabinets so common here. 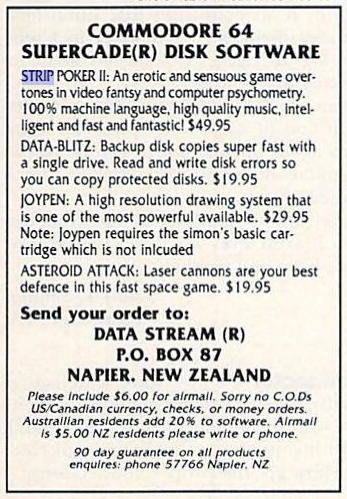 Probably the first “adult” game programmed in Napier, New Zealand. Space and time. My shed as large as it is, is now full and I really need to start downsizing my collection. I recently picked up a very large collection of Commodore Amiga hardware and software and it’s filled everything to overflowing. No one needs 7 Amiga 500s!. Some of what I collect I’d say definitely and I’ve actively sought out NZ material in order for it to be preserved and believe this is one of the most important things I can do. On the other side I don’t see there is much of archival/historical importance to my collection of more modern console software, things like Nintendo 64/PlayStation 2 games that were mass produced are nice to own and collect but have limited historical value apart from perhaps a few representative examples.